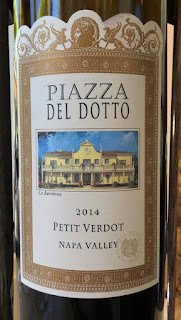 We've been fans of Del Dotto wines since their earliest days back in the early nineties. We started acquiring their wines starting with their inaugural release back in 1993. 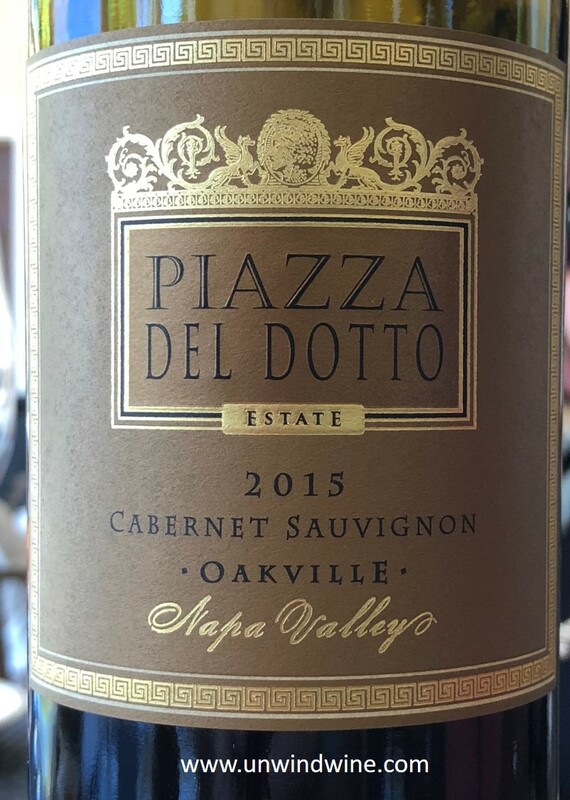 They gained notoriety when they were featured in the Wine Spectator feature, "Twelve Up and Comers to Watch". 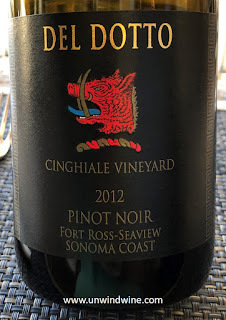 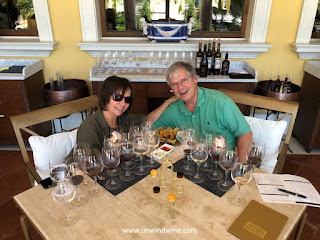 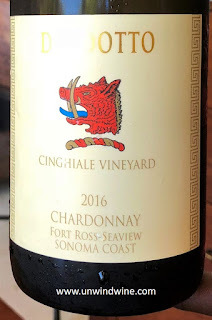 We met Dave and Yolanda Del Dotto and then winemaker Nils Venge during several of our Napa Valley wine producer events and winery and vineyard visits. From those meetings, we worked with Dave and Yolanda and Desiree in the earliest days in their web marketing launch. 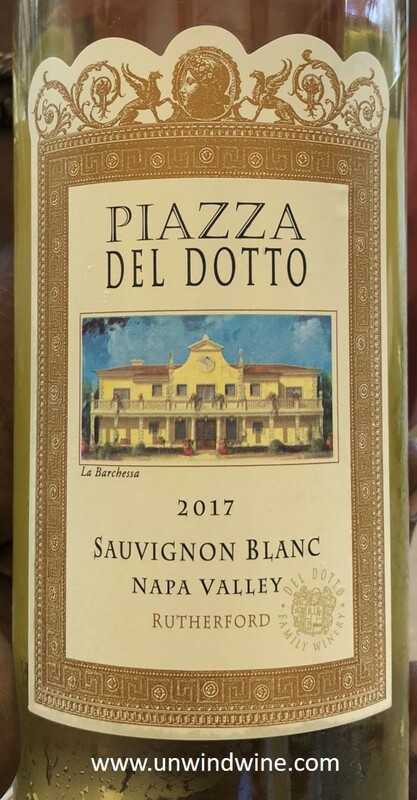 Del Dotto is one of the largest holdings in our collection. 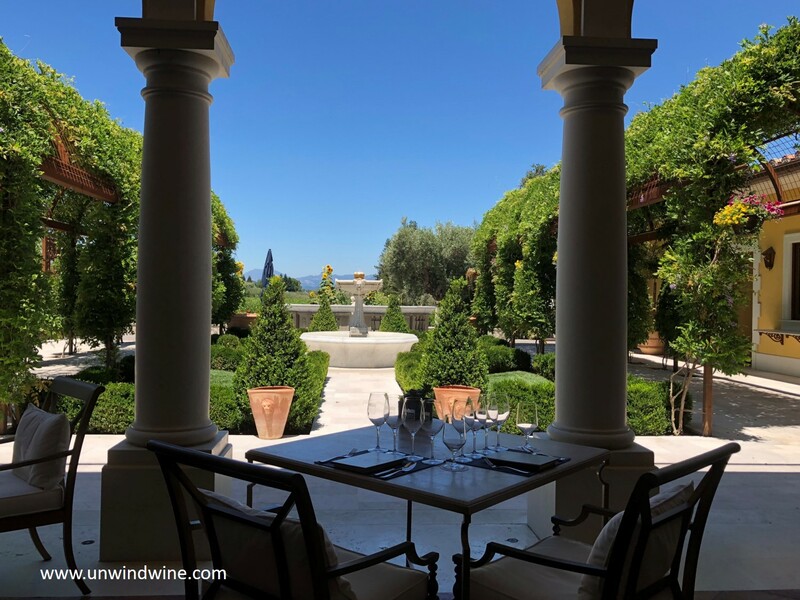 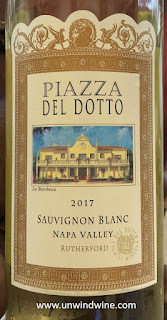 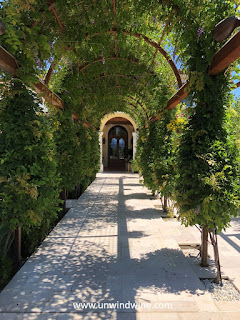 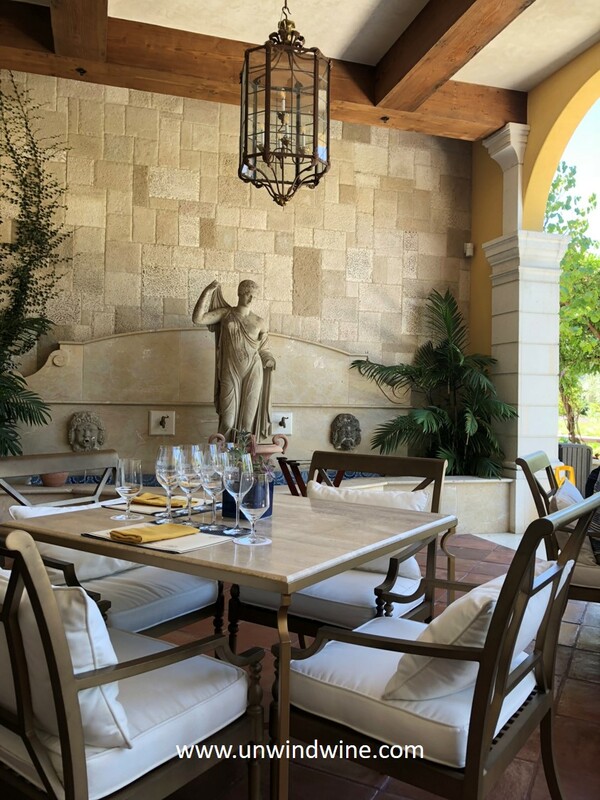 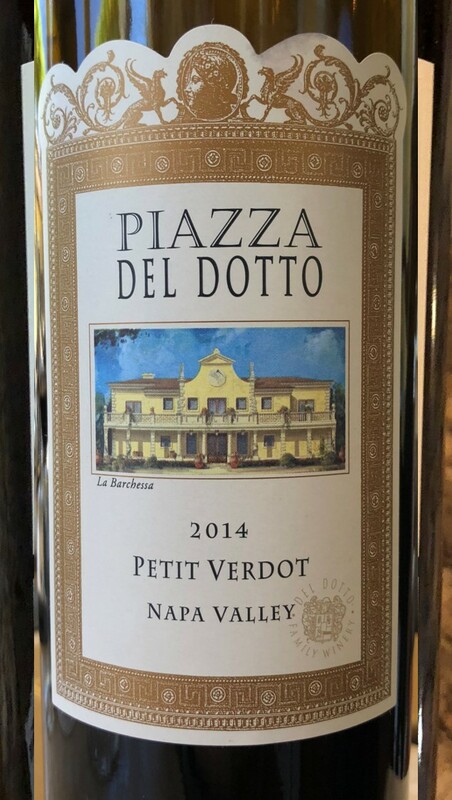 So when they opened their new property, Del Dotto Piazza, it was on the shortlist for our Napa Valley Wine Experience 2018. 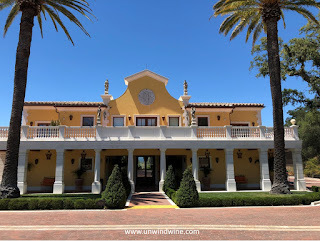 Del Dotto has grown remarkably beyond their Rutherford Estate at the corner of St Helena Highway and Zinfandel Lane. 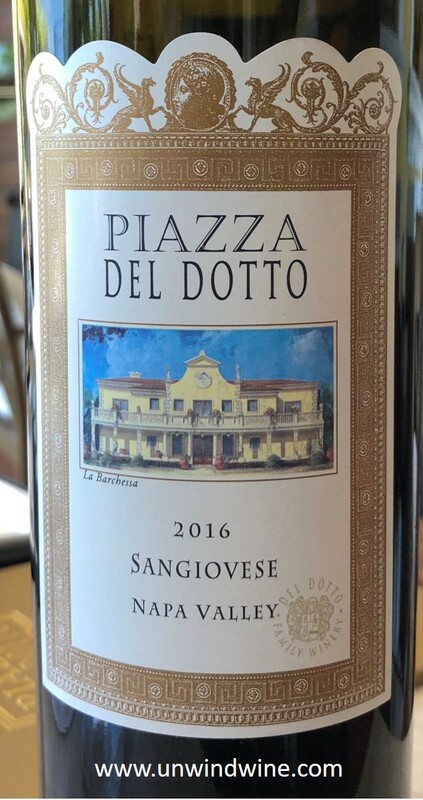 Their expansion now encompasses seven other appellations. 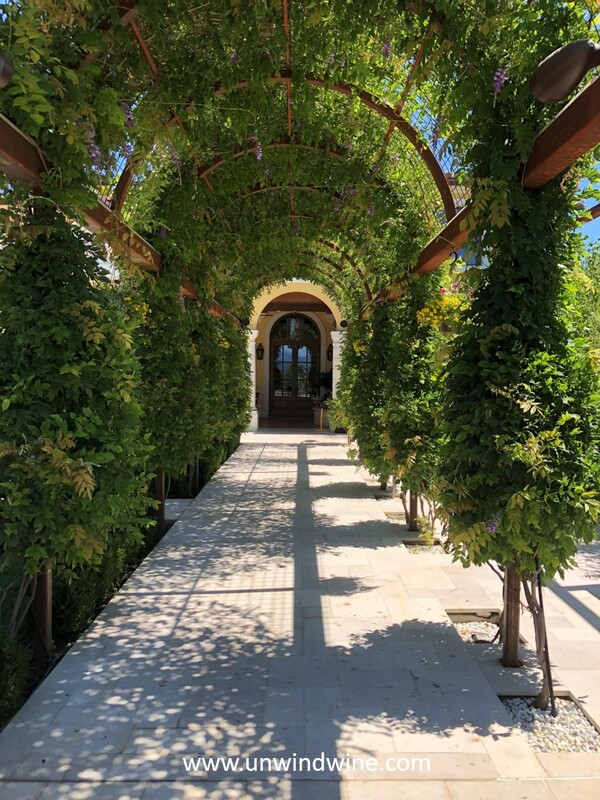 Today, Del Dotto's footprint consists of 437 acres with 121 acres planted of varietals including chardonnay, sauvignon blanc, pinot noir, syrah, cabernet sauvignon, cabernet franc, merlot and sangiovese. 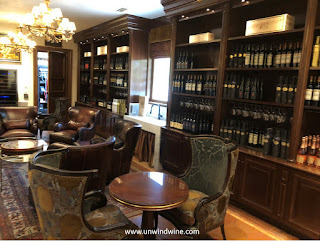 Del Dotto are known for extraordinary sensational wine tasting experiences with their Wine Cave tasting as an example. So its no surprise their new Piazza winery culinary experience follows suit. 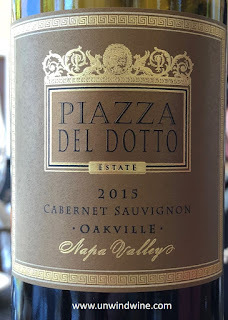 Hence it was our first stop and appointment during this last week's Napa Valley Wine Experience, the Piazza Delicacies wine and food tasting. 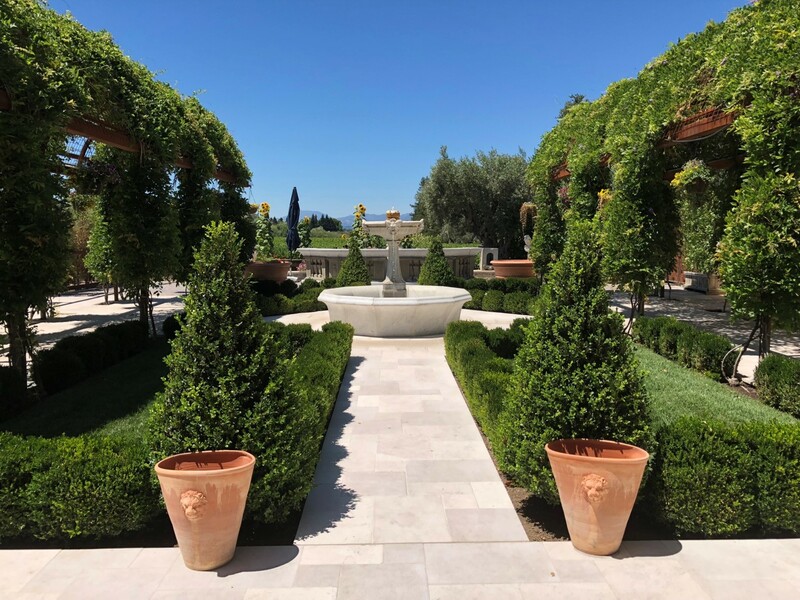 accompanied by five small plates featuring the very best ingredients from Petrossian caviar and Hudson Valley foie gras, to Snake River Farms beef and vegetables sourced from our Estate garden. 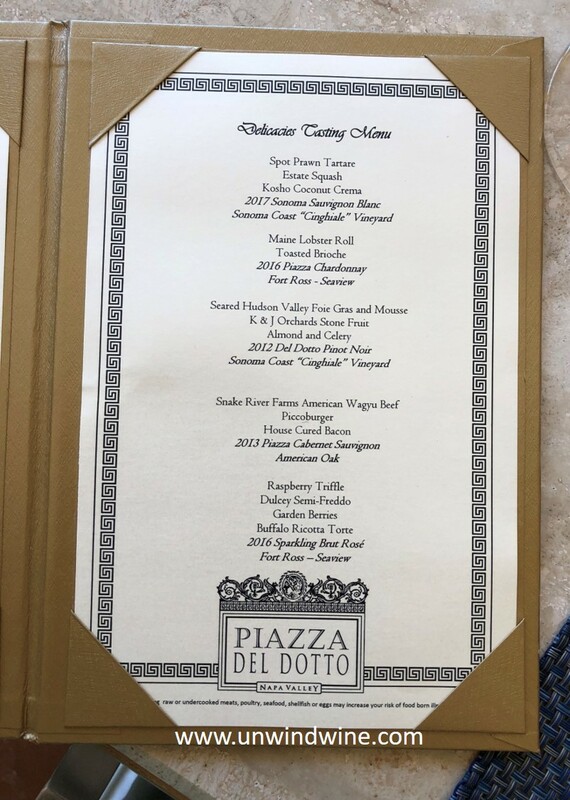 The final pairing course of the Delicacies tasting featured Del Dotto port wine with a dessert pairing. The food at Piazza if crafted by executive chef Joshua Schwartz, formerly of The French Laundry, Per Se, Bouchon and Bouley. 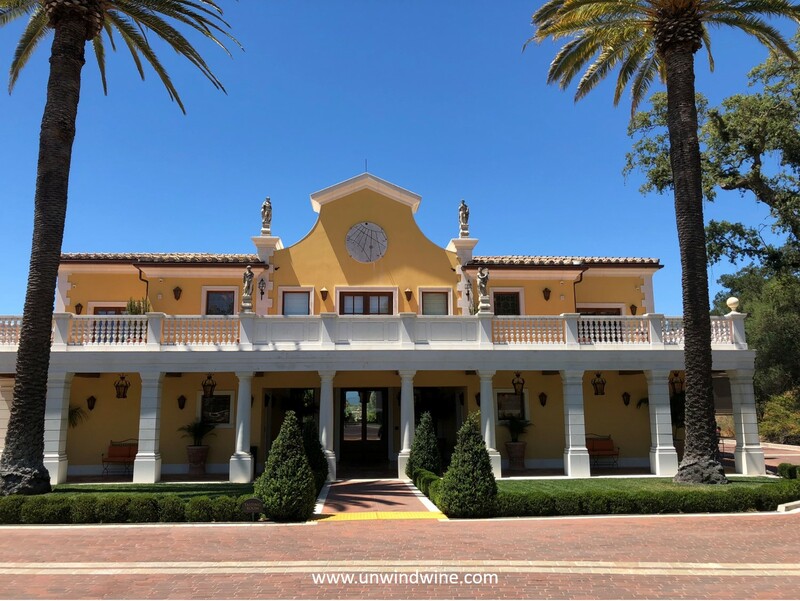 He has been with Del Dotto for more than a decade and his inspired cuisine has become one of the focal points of the wide array of wine and food events and offerings of the Del Dotto enterprise. Every course of our wine and food experience was spectacular, as was the setting, and of course the wine pairings were exceptional! 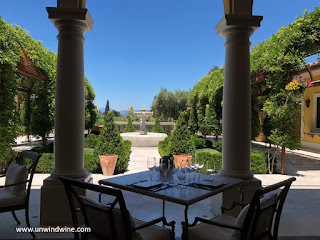 The atmosphere and setting is spectacular, dining out on the veranda looking over the gardens with the vineyards in the distance.